"Salem has much to offer, from first-class museums and attractions, fine restaurants, amazing architectural masterpieces, to an intriguing and infamous history along with a quality retail base, diverse residential neighborhoods and an active waterfront. This is why Salem continues to attract new residents and host visitors from around the globe each year!" Salem is located in Essex County, Massachusetts. 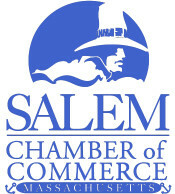 The name Salem is related to the Hebrew word shalom, meaning "peace". Salem is located at 42°31'1" North, 70°53'55" West. According to the United States Census Bureau, the city has a total area of 46.8 sq.km (18.1 sq.mi). 21.0 sq.km (8.1 sq.mi) of it is land and 25.8 sq.km (9.9 sq.mi) of it is water. The total area is 55.09% water. The average household size is 2.24 and the average family size is 2.95. There are 18,175 housing units at an average density of 866.3/sq.km (2,242.7/sq.mi). The median income for a household in the city is $44,033, and the median income for a family is $55,635. The per capita income for the city is $23,857.